What's It Like In Fuquay-Varina, NC? A relatively new community, Fuquay-Varina is quickly becoming a popular choice among Triangle area home buyers. In fact, it is the fastest growing town in North Carolina. 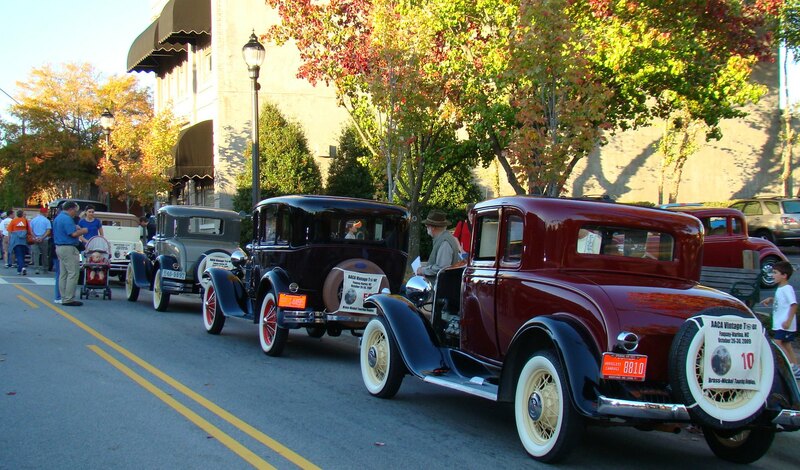 Despite its growth, Fuquay-Varina still boasts small town charm and a rich quality of life. Newer Homes & Neighborhoods: As you browse homes for sale in Fuquay-Varina, you will find a nice selection of newer homes, which offer the floor plans and amenities that appeal to modern home buyers. Convenience to Raleigh: Fuquay-Varina is conveniently located on US 401 and is about 25 minutes outside of Raleigh. 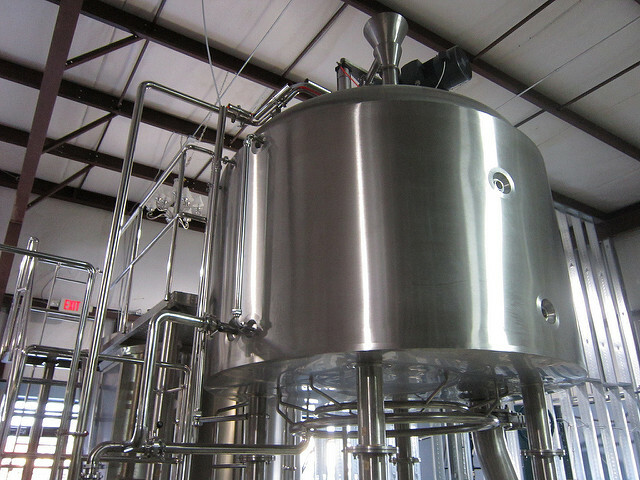 Breweries: Fuquay-Varina is home to a number of breweries including Draft Line Brewing, Fainting Goat Brewing Company, Lincoln Brewing Company, and Aviator Brewing Company. Parks: With 21 parks to choose from, most Fuquay-Varina residents are close to a great community park. Rich History: While the town in its current form is relatively new, the two towns that merged to become Fuquay-Varina both have an interesting story to tell. That means there are two historic downtown areas to enjoy. Where is Fuquay-Varina, North Carolina? 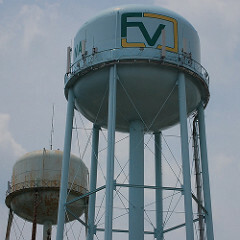 Fuquay-Varina is primarily situated on the southern edge of Wake County, North Carolina, but some of its rural communities stretch into Harnett County. Fuquay-Varina is neighbored by the communities of Holly Springs, Raleigh, Willow Spring, Angier, and Lillington. Raleigh, North Carolina’s capital city, sits just 17.7 miles from Fuquay-Varina, while Durham and Chapel Hill — the other 2 core parts of the Research Triangle — are a bit further away and lie roughly 34 miles from the Fuquay-Varina boundaries. Many Fuquay-Varina, NC homes for sale are beautiful and offer tons of curb appeal. This is especially the case downtown, where historic homes are bursting with charm. Even the newer construction homes in Fuquay-Varina’s many desirable neighborhoods are highly-sought after among today’s home buyers. If you prefer a bit more living space but still seek a true sense of community, try searching homes for sale in neighborhoods like Brackenridge, High Grove, Sunset Lake, or Stonewall Farms. If you’re on a tighter budget, don’t worry, as plenty of fabulous single-family homes can be found in communities like Johnson Pond, Morgan Creek, Northwyck, and Avalon Springs. The median home value in Fuquay-Varina is $226,900 — a figure that’s increased greatly since 2012. Likewise, the average price per square foot in Fuquay-Varina is around $125, which has risen steadily. Home values are expected to continue to increase in Fuquay-Varina, thanks to its rising popularity as a great place to live. If you’re interested in learning more about the Fuquay-Varina real estate market, or perhaps you’d like to schedule a private showing for a home that’s currently listed for sale or rent, give Brandon Duncan with Duncan Prime Realty a call at (919) 808-2001 today. Fuquay-Varina families are served by the Wake County Public School System, one of the best performing large school systems in the country. There are also private school options in Fuquay-Varina. Or, parents may choose from the public charter schools available nearby. For higher education and continued learning, Fuquay-Varina is convenient to the Triangle area’s fantastic colleges and universities. The main campus of Wake Technical Community College is also located nearby between Raleigh and Fuquay-Varina on US 401. The community is also served by the Fuquay-Varina Community Library, which offers programs for all ages. The Town of Fuquay-Varina is located at the intersections of US 401, Highway 55, and NC 42. These roadways connect the different parts of town, and connect the town to its neighbors. Highway 55 travels into Holly Springs and I-540, while US 401 travels into Raleigh. The town benefits from Judd Parkway, a loop which helps to decrease traffic downtown and make travel around the town easier. Fuquay-Varina residents looking for public transportation will want to check out Go Triangle's Express Bus Service for Fuquay-Varina. This route travels from Fuquay-Varina to Downtown Raleigh. A number of corporations call Fuquay-Varina home, and the area is poised to continue to see business growth. It is an ideal location for businesses looking to relocate or expand. Additionally, Fuquay-Varina is convenient to Raleigh and Cary, where many companies are located. No matter where you live in Fuquay-Varina, you're close to a park. The Parks, Recreation, and Cultural Resources department manages 21 parks with more than 300 acres around town. These parks include a splash pad, dog park, playgrounds, and more. Residents also enjoy festivals, events, concerts, athletics, programs, and fitness made available through the Fuquay-Varina Parks, Recreation, and Cultural resources department. Boasting the title of Best Brewery In The Triangle, Aviator Brewing Company offers great beer, tours, and even a smokehouse serving slow smoked meats and more! Free for residents (with Resident Splash Pad card) and only $2 for non-residents, the splash pad is a 6,000 square foot pentagon pad featuring over 35 water features. The mineral spring has been bringing people to Fuquay since 1858, and it’s still a nice place to visit. 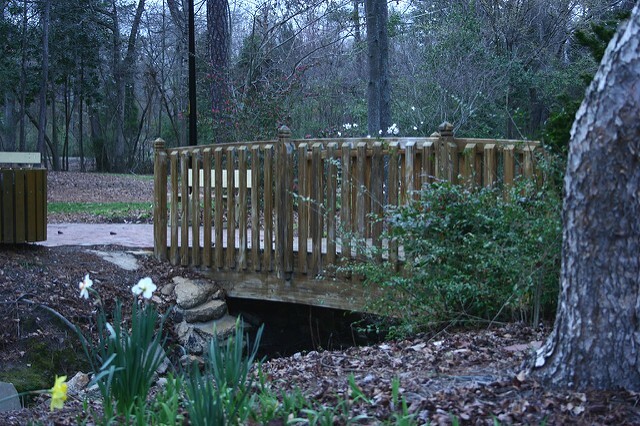 It is now a park with a lovely walking track, picnic tables, a restored spring house, and serene landscaping. There's a great selection of restaurants and food trucks in Fuquay-Varina. These three are favorites on "Best Restaurants in Fuquay-Varina" lists. Opened in 2014, Garibaldi boasts authentic Italian cuisine, an extensive wine list, and homemade desserts. Opened to complement the Aviator Tap House (see above), the Smokehouse offers a variety of smoked meats, including wings (yum! ), delicious burgers, and, of course, beer. The Mason Jar Tavern (TMJT) opened its first location in nearby Holly Springs and its second in Fuquay Varina. Folks rave about their mac & cheese bites and the chicken and waffles. The Holly Springs location makes our “Best Restaurants” list for Holly Springs as well. Initially, what is now the Fuquay-Varina area got its start due to the tobacco trade and heavy agriculture. After the discovery of a mineral spring the mid-19th century, Fuquay became a tourist destination. People from Raleigh would travel by train to Fuquay to "take the waters." A small tourist industry was built around the the Fuquay Mineral Spring. Fuquay-Varina’s hyphened names are attributed to the town’s history as two separate communities: Fuquay Springs and Varina. It wasn’t until 1963 that Fuquay Springs and Varina merged into one town, consequently forming today’s modern town of Fuquay-Varina. Around 1970, Fuquay-Varina’s total population was only around 3,576 residents and it wasn’t until 2000 that this number grew to nearly 8,000. According to the NC State Data Center, Fuquay-Varina saw a substantial 23% growth from 2000 to 2003, making it the 26th fastest growing community in all of North Carolina and the 11th fastest for communities with a population of over 5,000. Since 2000 however, population numbers again doubled. About 24,000 people now call Fuquay-Varina home. 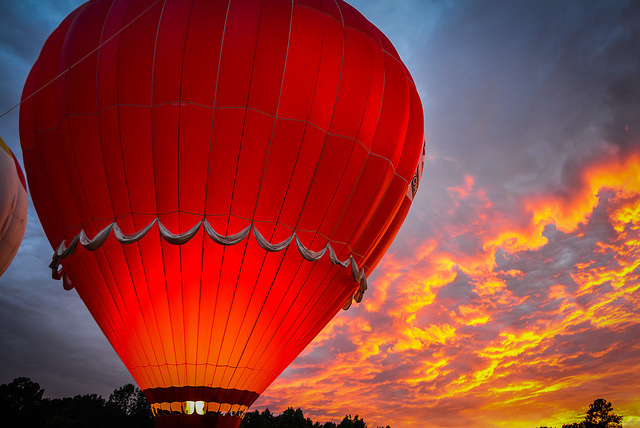 In addition to it's great atmosphere and amenities, the Town of Fuquay-Varina is one of few communities that can also boast financial stability. They enjoy an S&P AAA bond rating, a Aa1 rating from Moody's Investor Services, and an award for Certificate for Achievement For Excellence in Financial Reporting.